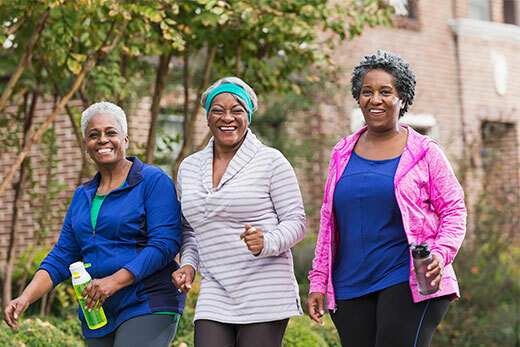 Almost 8,000 Emory employees have already registered for the Move More Challenge, an eight-week program using Fitbit trackers to encourage participants to "move more." Registration has been extended to Sept. 21, the day the challenge starts. Registration for the Move More Challenge, one of the largest employee wellness events at Emory, has been extended until Monday, Sept. 21. The eight-week program, which launches Monday and runs through Nov. 15, uses Fitbit trackers to encourage participants to "move more." To date, 7,965 Emory employees have registered for the challenge, notes Michael Staufacker, director of health management. "Momentum is building for the start of Emory's 2015 Move More Challenge on Sept. 21," Staufacker says. "For those who have registered but not ordered your Fitbit device, do it today, so you can fully participate in the Challenge." "For those who have received their device but have not taken it out of the package and set it up on Fitbit's site via a computer, do it very soon," he adds. "Once that is completed, 'accept' the invitation to join the Move More Challenge on the Fitbit site and choose your Emory team!" Fitbit's online platform and mobile app allow participants to easily track their individual progress as well as their overall team's progress. Throughout the challenge, Emory departments will be able to see how they compare with other departments in terms of total steps, adding an element of friendly competition to the program.